Coming to you from SEMA is another great shop who showed up and showed up with these awesome Honda, Toyota, and Nissan builds. 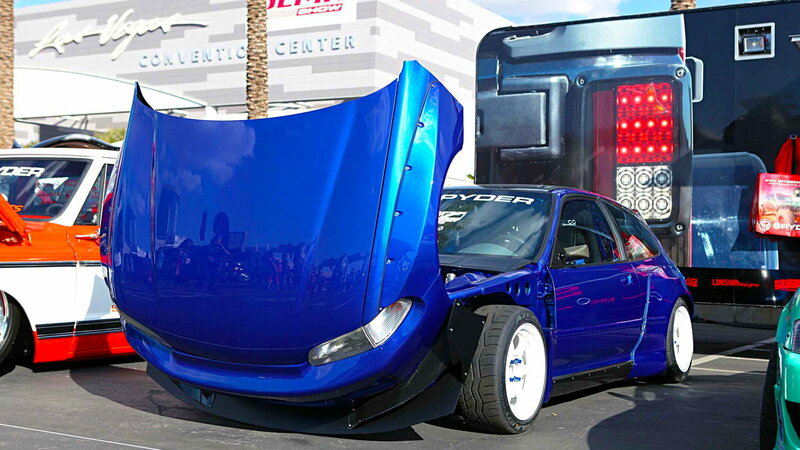 San Diego's own AutoFashion USA has been mostly known for their VIP style builds but at this year's SEMA show the shop decided to show off how wide their creativity ranges. 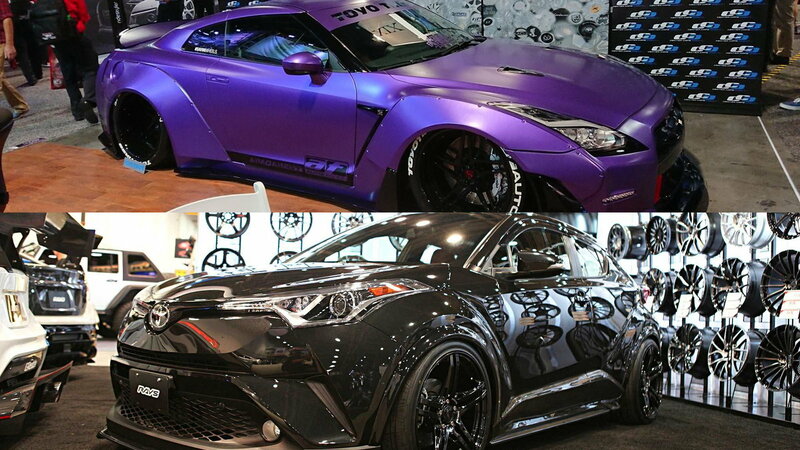 The canvases they used were a Rocket Bunny Civic, a Toyota C-HR, an Aimgain GT-R, and a beautiful S2000. This story starts over a year ago when AutoFashion was preparing for the 2016 SEMA show. Like many shops, they were using every last moment possible to get their vehicles ready for the show. 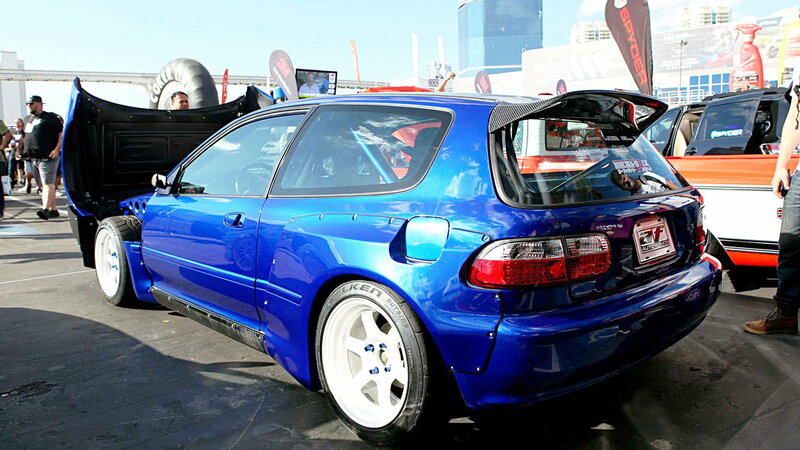 Included in the list of cars for the show was a Civic hatchback that threw a last-minute wrench into plans and caused the shop to scrap the car's debut. In that year the sh op took advantage of the extended downtime to rework the problematic Civic and take what was once an exercise in patience to a fine piece of machinery. >>Join the conversation on AutoFashion's Vehicles from SEMA 2017 right here in the forum. 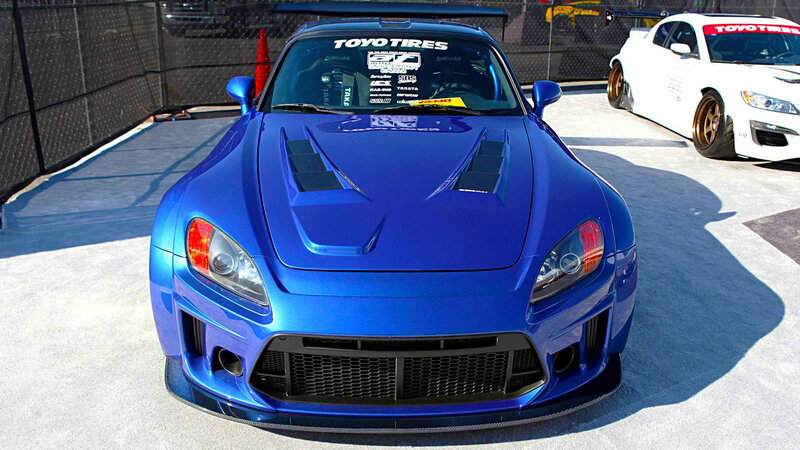 The S2000 that AutoFashion brought was one that was unbelievably built in a very short timespan. The car began life clad in a just mundane yellow paint but Buddha Concept Designs went ahead and painted it a beautiful Bayside Blue to get the mod train rolling. The roadster received a Seibon carbon fiber vented hood and an exclusive Mode Parfume aero body kit. 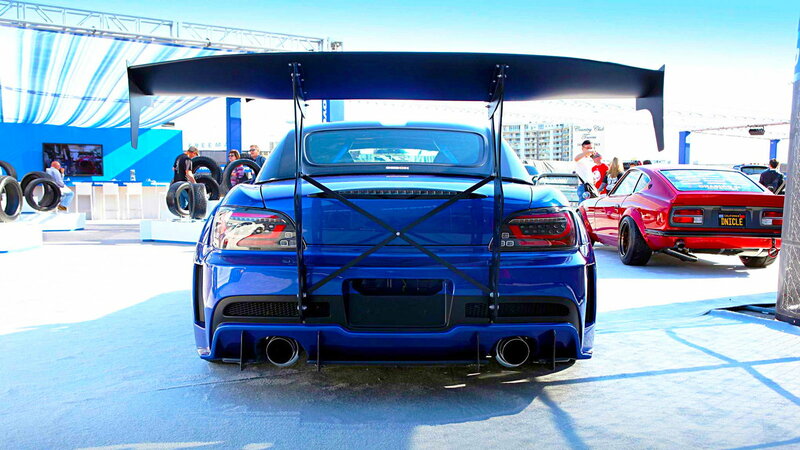 On the rear of the car, a big park bench Battle Aero chassis-mounted wing was installed to keep the car planted firmly at speeds. The wheels are SSR Professor TF1s with Toyo R888R tires. Behind those wheels is a Wilwood brake upgrade kit. On the exterior of the Civic is a Buddha Concept Designs paint job and a Rocket Bunny kit for a more aggressive stance. AutoFashion worked with Buddha on something unique for the front and came up with a one-piece front end that goes fully forward for full access to the bay. To create the front end, a one-off hinge system was made and precise tolerances had to be figured out so that any damaging contact was eliminated when raising or lowering the front. Underneath the hood, there is the stamped logo for AutoFashion and sitting right in the middle of the bay is a K24 with a K-Tuned header, Hybris Racing throttle body, fuel rail, and an HPS intake. Out back there is a Duckbill carbon fiber spoiler that matches up with the carbon fiber roof cap. To finish things up the hatchback rolls on some Volk TE37Vs and are wrapped in Falken Azenis RT615K tires. For those who need a four-door with a little flair, there is this recently debuted Lexon body kit C-HR. The crossover got the slammed treatment and is sitting on a set of Rays variance Versus wheels. Last but certainly not least is this widebody AimGain GT-R that rides on AimGain 20-inch wheels and an AirLift suspension to handle life's ups and downs.